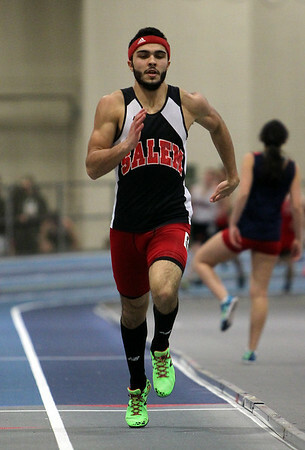 Salem senior Taron Wigfall cruises to a win in his heat of the boys 600m race during the NEC Conference Meet at the Reggie Lewis Center in Roxbury on Friday afternoon. Wigfall placed fourth overall for the Witches in the 600. DAVID LE/Staff photo. 1/30/15.